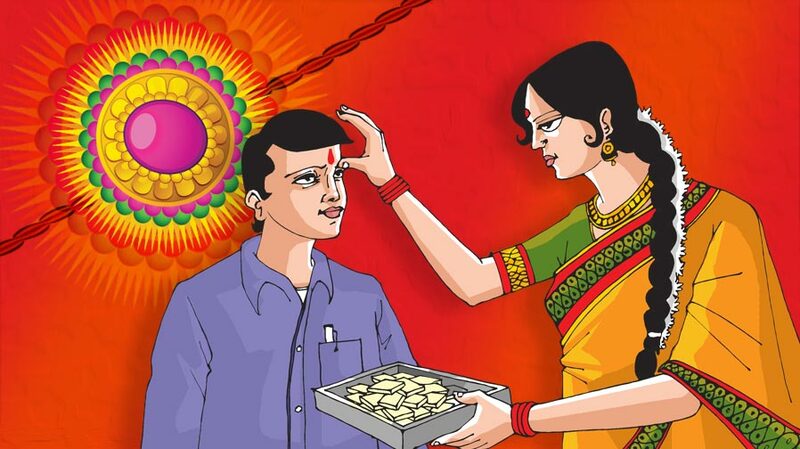 The festival of Raksha Bandhan is falling on August 18 this year. A very auspicious Simhasana-Gauri yoga and with no Bhadra effective makes it an even perfect day. Such pious coincidence is presenting itself after 3 years, which means people will not need to look into Bhadra Kaal this year. The Shubh Muhurt or the auspicious Muhurt will last all day long. Bhadra Kaal will end before sunset which means people can celebrate the festival even during morning hours. After noon and evening too there are Shubh Muhurt for Rakhi. In Puranas and other religious scriptures, Bhadra is depicted as daughter of Surya Deva and sister of Shani Deva. Like her brother Shani, she too has a temper. To appease her temper, Brahma Devta gave her a prominent place in the Kala Ganana. Bhadra's time lasts from 7 to 13.20 hours. During this period tying Rakhi and Holika Dahan is not considered auspicious. Similarly Vivah, Mundan, Gruha Pravesh etc. rituals are not performed as long as Bhadra is effective.